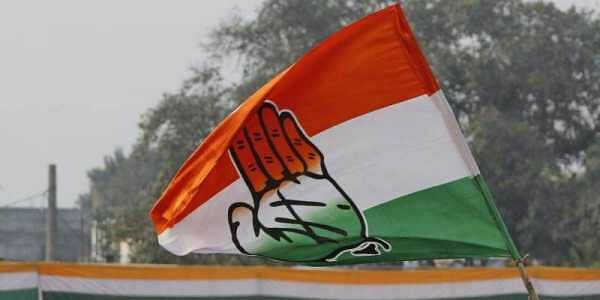 The Congress is yet to announce its candidates as the party is trying to strike the delicate caste balance while doing the quota tight rope and grappling internal factionalism. AHMEDABAD: Even though only two days are left to file nominations for the first phase of Gujarat polls, the Congress is yet to announce its candidates as the party is trying to strike the delicate caste balance while doing the quota tight rope and grappling internal factionalism. The list is likely to be announced tonight when a meeting is scheduled between PAAS leaders and the Congress. "Our list will be declared this evening," Congress spokesperson Manish Doshi said without elaborating. While Hardik Patel-led Patidar Anamat Andolan Samiti (PAAS), which is playing a hardball with the grand old party given its hold on the numerically strong community, has demanded around 20 seats from the Congress quota, Alpesh Thakor-led OBC group has demanded 12 seats, which has delayed the Congress' list. Thakor had joined the Congress recently. Moreover, groupism and dissension in the state Congress unit is also said to be a reason behind the delay in finalising candidates. On the contrary, the ruling BJP has announced 106 candidates out of total 182 seats, by releasing two lists so far. While polling for 89 constituencies will be held on December 9, remaining 93 seats will go to polls on December 14. The last date for filing nominations for the first phase is November 21. A Congress leader, who is in the know of the ongoing negotiations, today said the issue of allocation of seats would be resolved soon. "The delay in declaring the list of candidates is due to the ongoing negotiations between PAAS and the Congress party on PAAS' demand for seats. The PAAS has demanded around 20 seats while the OBC group led by Alpesh Thakore has staked claim to around 12 to 15 seats," party sources said. Hardik Patel, who has emerged as the protagonist of caste consolidation, had set the Congress' commitment to quota for Patidars under OBC category as the pre-condition to extend his community's support to the party. Senior Congress leader Kapil Sibal had held a meeting with PAAS representatives and handed three options to the community on the quota issue. Hardik recently said that if Congress finds PAAS leaders fit enough to contest polls then they can fight elections. One of the PAAS conveners Lalit Vasoya today declared that Congress is offering him a ticket from Dhroaji seat and he will fill up his nomination form tomorrow. A delegation of PAAS leaders had gone to Delhi two days back and demanded 30 seats from the Congress which held its Central Election Committee meeting under Sonia Gandhi. The Congress, however, had rejected the demand. According to sources in Congress, the PAAS has reduced the number of seats it wanted to contest. "PAAS has reduced the number of seats it wanted to contest than their previous demand. Negotiations are on between the Congress and PAAS. We hope the issue will be resolved soon," sources said. PAAS leader Dinesh Bambhaniya said the Congress has invited them for a meeting this evening wherein the quota issue would be discussed with state Congress leaders. Sources said seat-sharing would be finalised at the meeting. The other reason for the delay in declaring the list is infighting and groupism in the Congress party. "There is also some internal bickering between various groups in the party for tickets, which is another factor for delay in declaration of list," sources said. In run-up to the 2012 assembly elections in Gujarat, the Congress had not officially issued the list of candidates and had directed the party candidates to file their nominations on telephone.